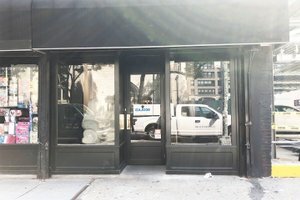 This unique space is a striking storefront of white washed, street level space, oversized front windows, 18 ft ceilings, and dark slate polished floors. This multi-purpose space is both striking and welcoming/inviting. 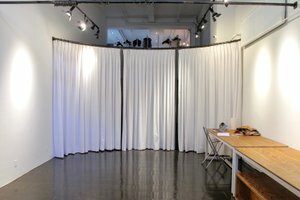 It can be rented in it's entirety, or can be portioned off, depending on your vision! 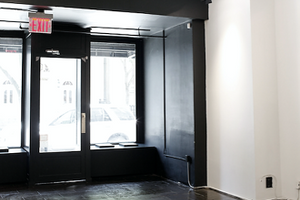 Use this dynamic space to host your upcoming Pop-Up store, Art Exhibition, Lecture Series, or Photo Shoot. 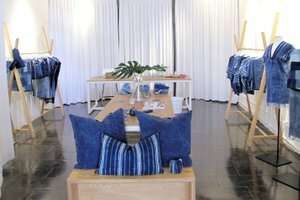 Roll out your Sample Sale, your brand's Presentation for a product launch, a cocktail party for a special occasion -- everything will look better in this flexible and sparkling clean storefront.